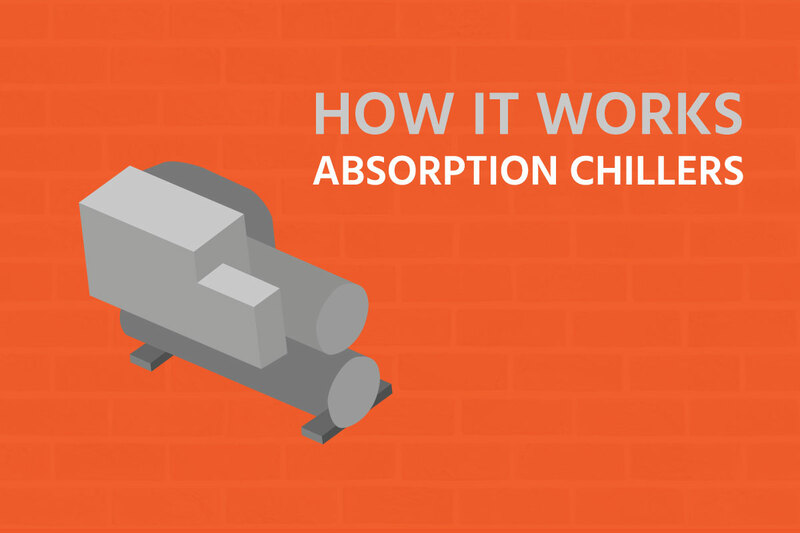 How does an absorption chiller work? Different from other types of chillers that have compressors, an absorption chiller uses heat to generate cooling. Interestingly, it also doesn’t use a conventional refrigerant. Rather, it uses water as its refrigerant. 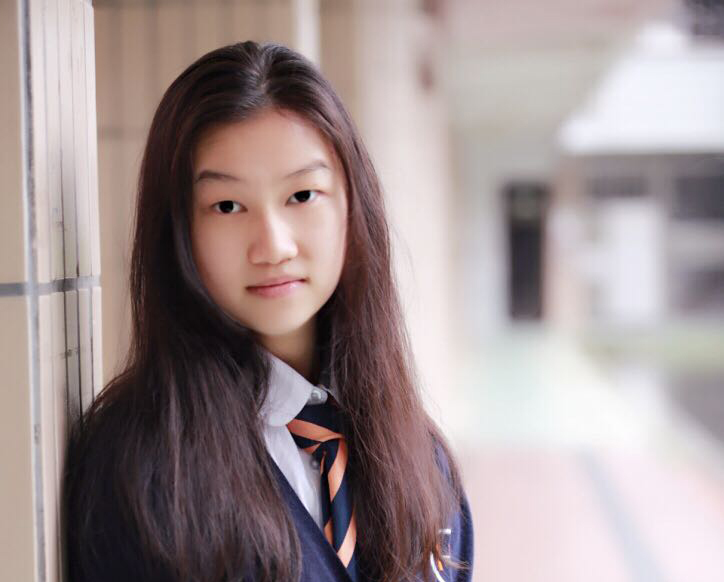 The water is usually mixed with either ammonia or lithium bromide, and lithium bromide is the more common one because it is not toxic, according to The Engineering Mindset. According to the same source, an absorption chiller normally has a condenser, a generator, an evaporator, an absorber, and a heat exchanger. First, the refrigerant, or the water mixed with lithium bromide, is stored in the absorber. It will be pumped through the heat exchanger and go to the generator tank at the top of the chiller. The heat generated from the outside or waste steam collected from other systems in the building will go into the chiller’s generator. Lithium bromide and water will then be separated under the heat. Water gradually becomes vapor and rises to the top, where the condenser located, and lithium bromide sinks to the bottom. The lithium bromide will go through a pipe and flow back to the absorber, where it started originally. Then, the vapor in the condenser on the top will go through a cooling tower. The cooling tower pipe has a lower air pressure than the condenser. Thus, the vapor becomes water again as the air pressure decreases. The cold water then goes into the evaporator and waits to be mixed with the lithium bromide in the absorber again. In short, the absorption chiller chilled water via sudden change of pressure. When the water heats up in the generator, the air pressure is high. Water releases the heat and becomes vapor. Then, a pipe leads the vapor to the evaporator, where the air pressure is low. The vapor will then cool down and become cold water again immediately. The outside temperature will drop as vapor absorbs the heat to become water. The water evaporates and carries away all the unwanted heat. Then, as it goes through the cooling tower, the vapor cools down in a low-pressure environment and becomes water again. When the water mixed with the lithium bromide in the absorber, they are ready to go through the heat exchanger again and carries more unwanted heat with them. When it operates, an absorption chiller produces chilled water while consuming just a small amount of electricity to run the pumps on it. And it will continue bringing out the heat from the building as it goes through the heating and cooling circle. 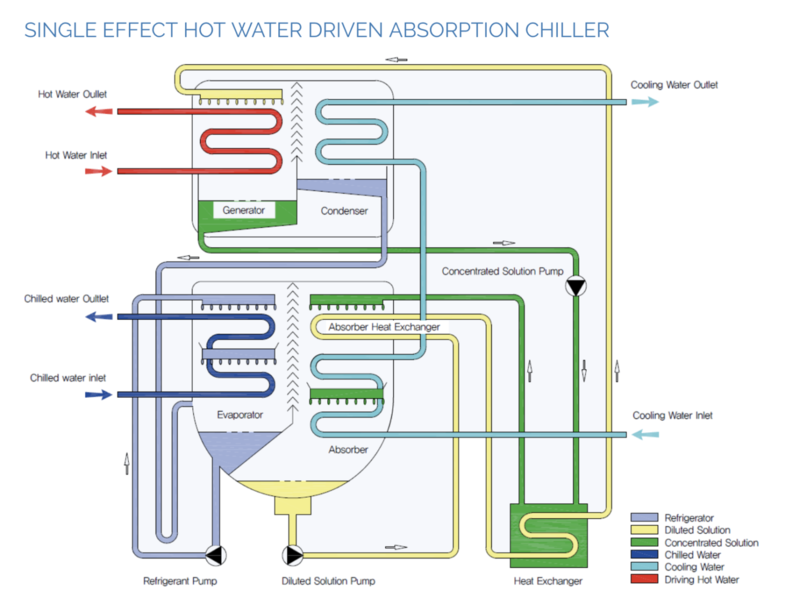 What are the benefits of using absorption chillers? The refrigerant an absorption chiller uses is a very promising source of refrigerant. They do not contribute to global warming and ozone depletion at all. An absorption chiller can reduce the cost of electricity, hot water, heating and cooling for the facility. It also has a long service life–for about 20 years. 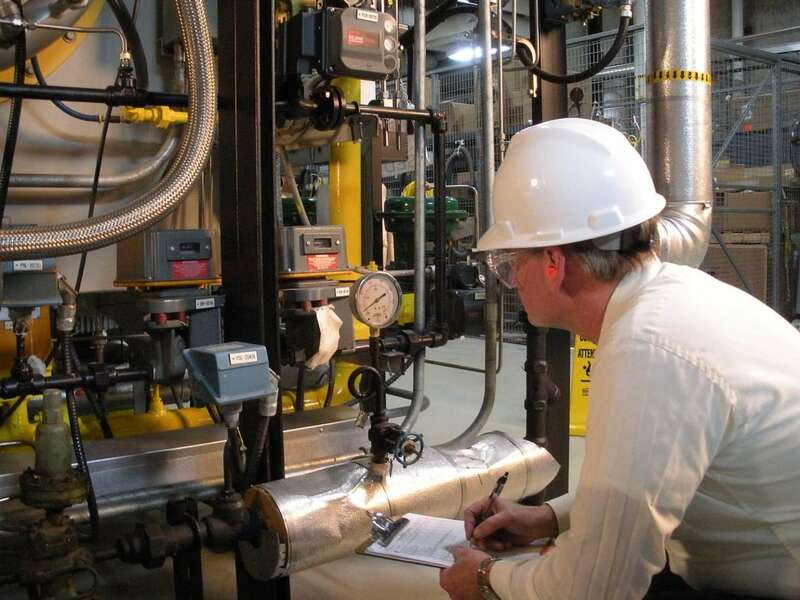 Due to lack of compressors in the machine, the noise and vibration are significantly reduced in the building, providing a quiet environment with high reliability. It does not consume electricity for the production of cold and heat. And the absorption chiller does not overload the power supply even in times of peak demand. It also allows the use of emergency generators at the power source, as energy consumption in absorption chiller is minimal when compared with electric refrigeration units. What types of facilities should use absorption chillers? Not every commercial building needs an absorption chiller; other simpler chilling systems can fulfill the chilling requirements in many buildings. However, absorption chillers work especially well for the facilities that require long hours of operation, have thermal loads throughout the year, are concerned about power reliability, use a large amount of electricity and have the desire to reduce emissions. For example, data centers, healthcare facilities, hotels and universities are all good candidates of absorption chillers, according to the EPA. If you are interested in learning more about the absorption chiller, please contact a certified engineers at EnergyLink.